So, if I walked into your office tomorrow, stopped the first person I came across and asked them what they understood your organisation’s innovation strategy to be, what sort of answer would I get? Would there be a blank look, a reference to one department or another, or a raised eyebrow followed by a negative comment? And even if I were to find someone who could give me a full response on your current level of innovation maturity, would they then be able to explain the part they play and how they contribute? Does that matter you say? I would say, absolutely it does! And if at every level of your organisation there isn’t an understanding of why then I would argue you should forget any hope of delivering innovation-led transformation. Why? Because building an innovation-led organisation isn’t about bettering traditional ‘business targets’ or cutting costs or even gaining a quick lead in the race for customer share. It’s way more than that! Driving true and continuous competitive advantage through a focus on innovation (or whatever name you want to give it; but that’s another thought piece) requires, for many organisations, a complete transformation of how they think, what they value and the importance they place on things like purpose, creativity, curiosity and empathy. Building an organisation capable and willing to constantly pursues deep, systemic, genuine problems, is no mean feat. But, in the VUCA world we’re now forced to operate in, it’s become a must. Putting the customer and consumer at the centre of the focus on innovation means understanding that innovation, the word we’ve all bastardised and devalued over the past few years is not a ‘thing’, it’s an outcome. An outcome of a focused and strategic approach to doing things demonstrably different. An approach that we can now systemise, adapt, develop and scale. It’s an approach that has become more about mindset, behaviour and organisational culture than about tools and frameworks. But still, as the JTBD (jobs-to-be-done) methodology embodies, it’s above all else, empathy-driven and human-centred. In fact, PwC’s 2017 Innovation Benchmark  revealed that for 54% of organisations a customer engagement strategy helped to define innovation from early ideation and also that for 35% of organisations customers were the most important innovation partners. A true culture of innovation is inclusive, drawing inspiration, perspective and contribution from across the organisation. And that requires a deep understanding of innovation not only leaders but also by everyone who wants to be part of the organisation’s innovation success. With that in mind, maybe the title of this thought piece shouldn’t have asked if you understand innovation but if your people understand innovation. Now admittedly, innovation understanding starts, as so many things do, at the top of the organisation. That’s one reason why in the book ‘Building a Culture of Innovation’  which I co-wrote with Derek Bishop & Jo Geraghty, we propose that the first steps on the road to innovation success require senior leaders to build an understanding of where their organisation is today followed by creating ‘innovation leaders’ who are not only bought in to shaping the future through innovation who are also prepared to self-develop, in order to create the right mindset, behaviour and capability to lead through continuous change. However, if understanding innovation remains the preserve of the top table then it is going to go nowhere. I touched on this in my recent article on why innovation transformations fail. In that article I drew attention to Anthony Ferrier’s white paper  which called for HR leaders to not only step up and play an increasing role in delivering innovation but also be prepared to modify their approach which delivers the agreed innovation strategy whilst also meeting the personal development needs of the current and next generation. It’s a paper which I would urge you to read, not simply for the ways in which development can be taken forward but also from the acknowledgement that people development can deliver innovation, which isn’t an approach which is universal. In fact, PwC’s 20th Global CEO survey  reported that 77% of those surveyed found it difficult or somewhat difficult to recruit people for innovation/creativity whilst their 2017 innovation benchmark  revealed that the biggest people related innovation challenge (32%) was finding the right employees. What results such as these say to me is that there isn’t just something wrong with the recruitment process but also a lack of developmental awareness within many organisations. 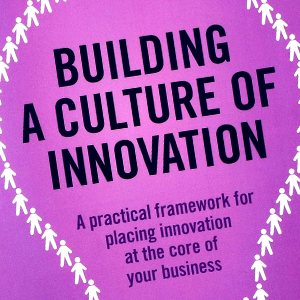 If you are looking to build a culture of innovation should you be looking for fully developed people or should you be looking towards cultural fit, people who have the skills and attributes to bring something more to the organisation? And again, that mis-match in expectations is down to a lack of understanding at the top. When 95% of leaders think that their organisation has a culture of promoting collaboration and exchange of ideas across different departments and functions but only 52% of employees agree  that suggests there’s some basic work to be done on integration and synergy regardless of who you take on. So how do we build understanding? Well, at heart, it takes communication, listening, engagement and most importantly, empathy. It’s about sharing not only a purpose-driven message but the reason behind it. It’s about drawing people in, encouraging and inspiring them to participate without fear of failure and to take ownership of outcomes. In other words, it is about embedding a culture of innovation understanding across the entire organisation. Do you and your people really understand innovation? If you don’t then you might do ‘stuff’, a little innovation theatre, but my challenge to you is, do you think your organisation will do the exceptional things it’s fully capable of? So, I’ll leave you with this thought from Chapter 5 of ‘Building a Culture of Innovation’.